We are obsessed with fixing things and making things better. As you know we specialize in flooring, kitchen and bathrooms, roofing, and landscaping. However, we also have a handy sandy special team that tries to fix just about anything including appliances. Why do we do this? Why not? We love to help and have a lot of experience and skill. We believe we can fix anything. The reason why love to fix things is simple. We want to help. Over time our team of contractors and handymen has grown to include some of the highest trained and skilled in our area. With us you are truly hiring a team and not just one contractor. We are passionate problem solvers who happen to love making people smile when they see their home transformed or repaired. 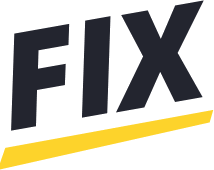 We are here to serve you and fix anything you need repaired or renovated in your home. We truly mean anything.